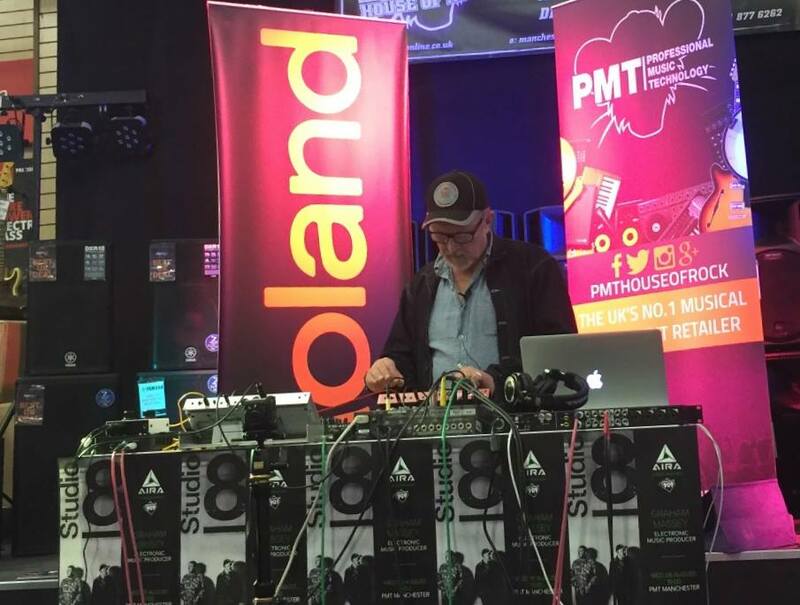 PMT Manchester presents, in association with Roland UK and Freakin' 909 Records, an intimate electronic music masterclass with Graham Massey of 808 State. Come to the Manchester store on #808DAY to celebrate the legendary TR-808 drum machine, an instrument that’s inspired countless artists and changed the face of contemporary music. 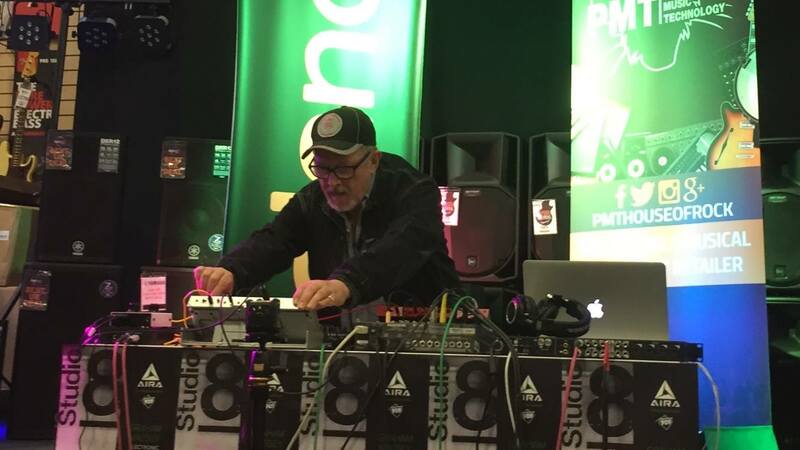 Graham Massey will be discussing how the TR-808 influenced the band as well as performing with the latest in the 808 evolution, the Roland Aira TR-8S. Graham will discuss his career in the music industry ahead of the new 808 State album and his UK Tour, which will be happening at the end of the year. A great night. A 'workstation' with various gadgetry which Graham played two improvised jams from. During the Q&A, the highlight being 'Cobra Bora' being broken down into its component parts with a description of what kit was used to create that particular sample. A good insight into the perils and unreliability of past music technology and editing when 808 started, compared with the ease of today, along with an in-depth bio of where it all began Pre-Newbuild.